An improved horse pasture blend more suited to cold, heavy clay soil. Managing horse pastures on cold, heavy or clay soil can prove difficult as grass growth and regrowth can be slow, particularly in early spring, due to naturally lower soil temperatures. This blend is based on Meadow Fescue and Timothy which were traditionally used for grass production on cold, wet ground in areas such as West Wales. With the post war introduction of artificial fertilisers, 100% ryegrass mixtures out performed all previous, more diverse blends to become the favoured choice for intensive, short term forage production however, 100% ryegrass is not always the best choice or indeed the most suited species for the more clay based soils. Horse Pasture Seed For Clay Soil is a take on the more traditional mixture but also includes a little late heading ryegrass for its tillering properties, as a buffer and bottom grass filler. 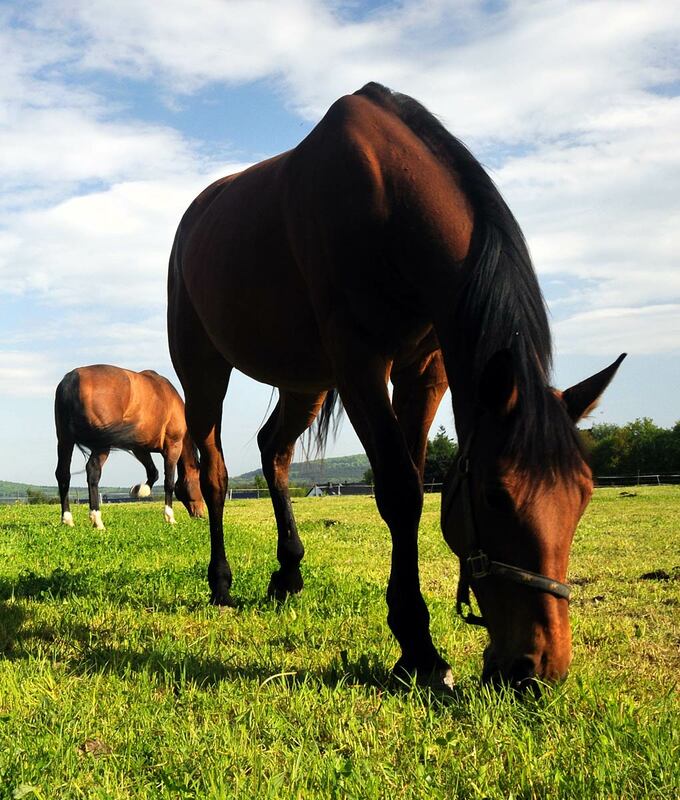 The mixture establishes a closely knitted, durable, hardwearing grazing sward which provides a more suitable forage for equine grazing under less than ideal conditions.